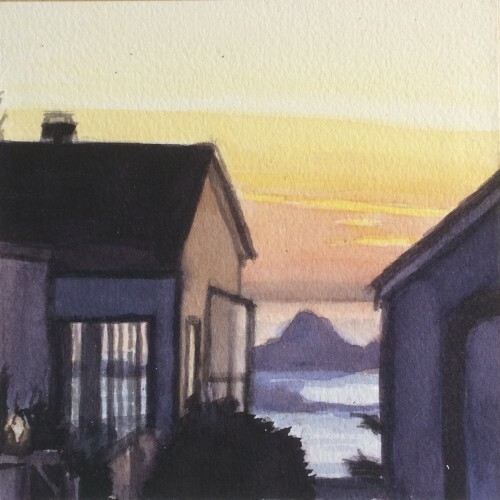 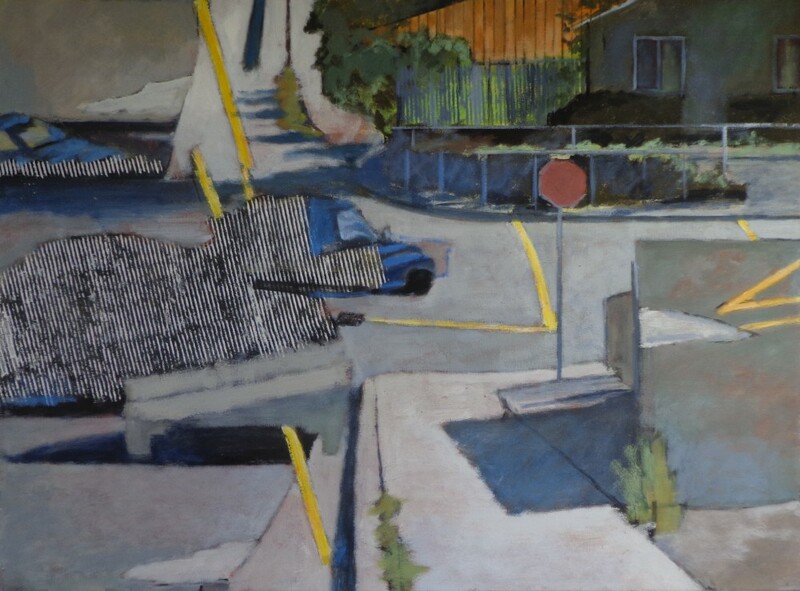 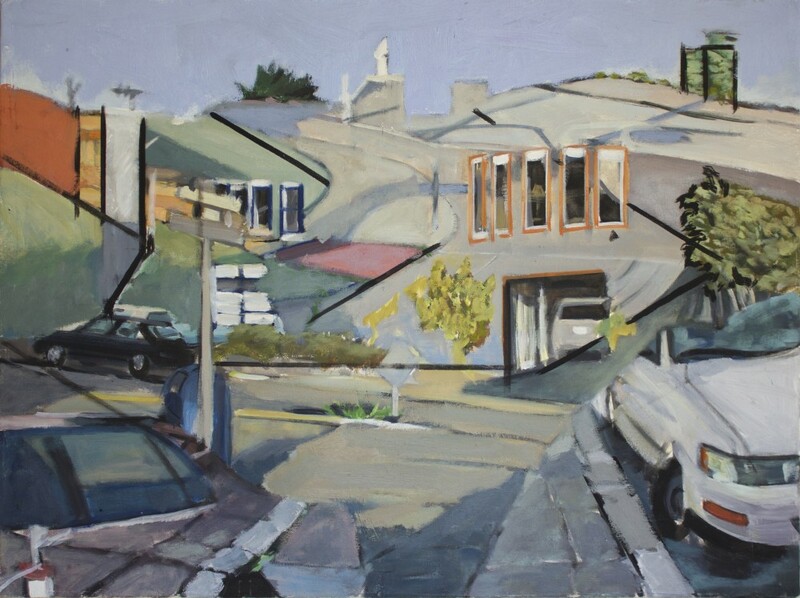 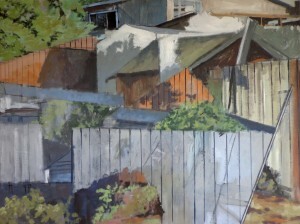 Fences & Houses, David Dunn, oil on canvas, 30 x 40 inches. 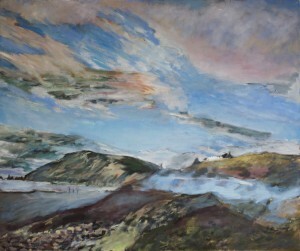 David Dunn, Beach, 30 x 36 inches, oil on canvas. Alicante Truck Stripe, David Dunn, oil on canvas, 34 x 46 inches. 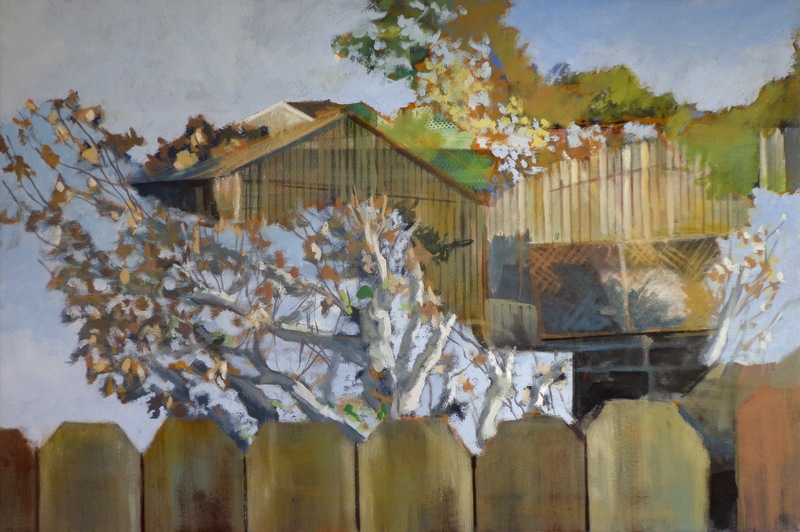 Autumn, House, Fence and Trees, David Dunn, oil on canvas, 2014, 24 x 36 inches. Ocean, Coastal (Composite Landscape), David Dunn, oil on wood, 2014, 18 x 30 inches. 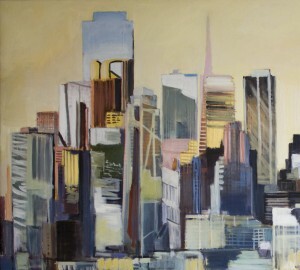 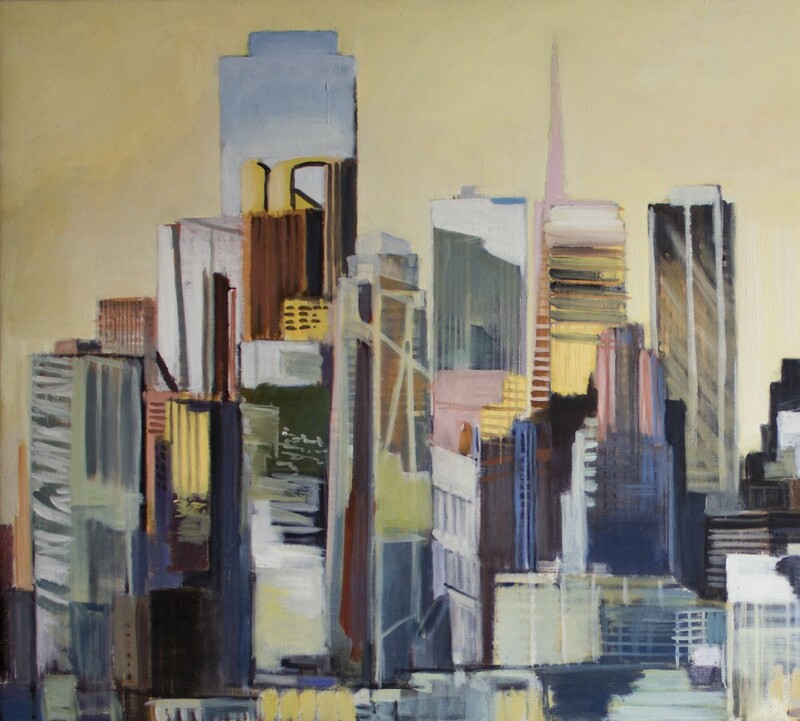 City Composite, San Francisco (Detail), David Dunn, oil on canvas, 24 x 48 inches. 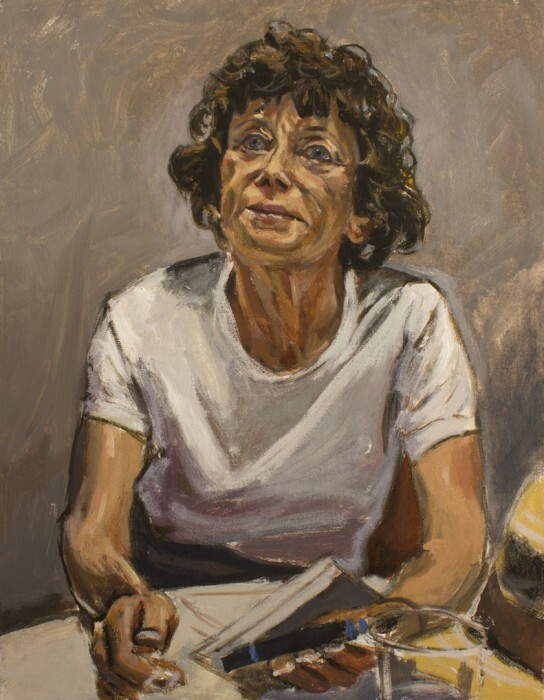 Portrait, oil on canvas, 23 x 18 inches.